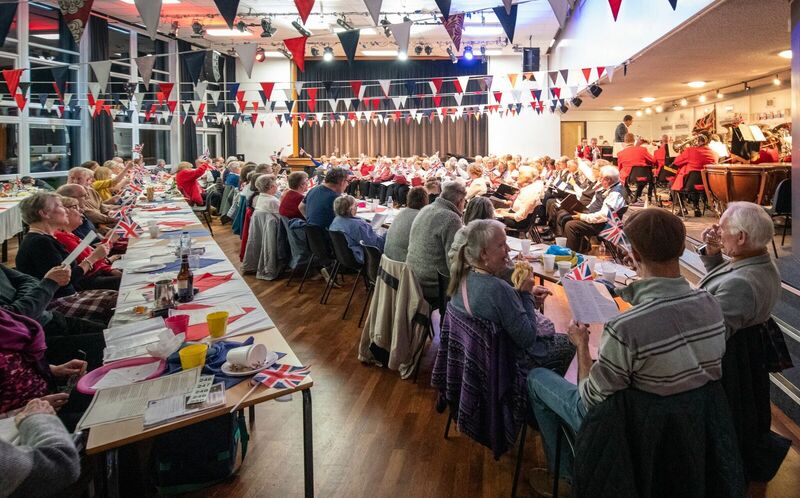 A street party at Invicta Grammar to celebrate the end of the Great War and to remember those who gave their lives. 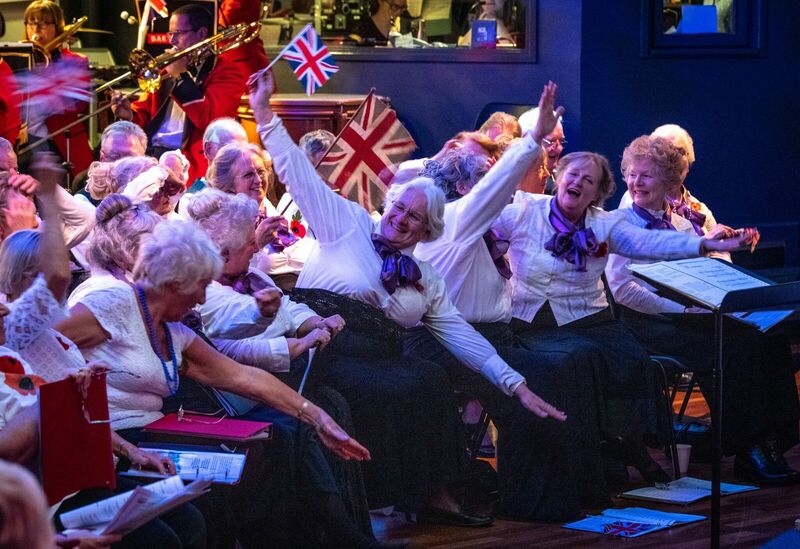 The pictures below give a flavour of an event of very mixed emotions. 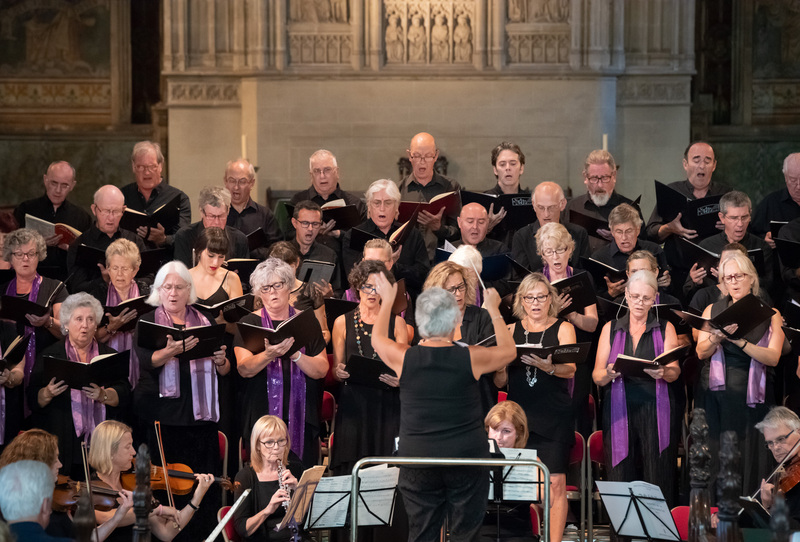 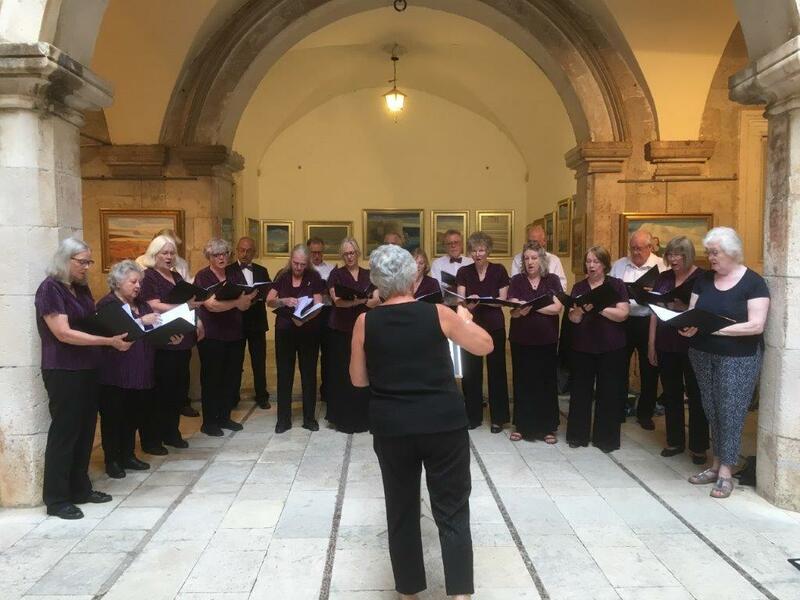 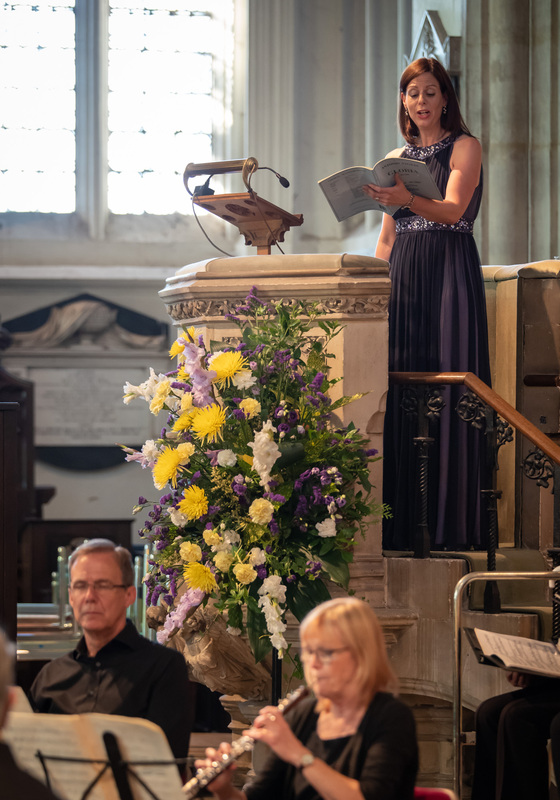 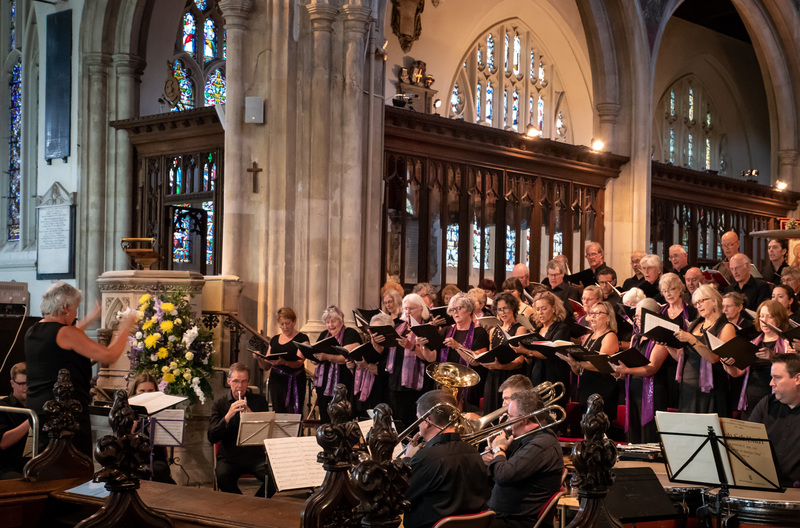 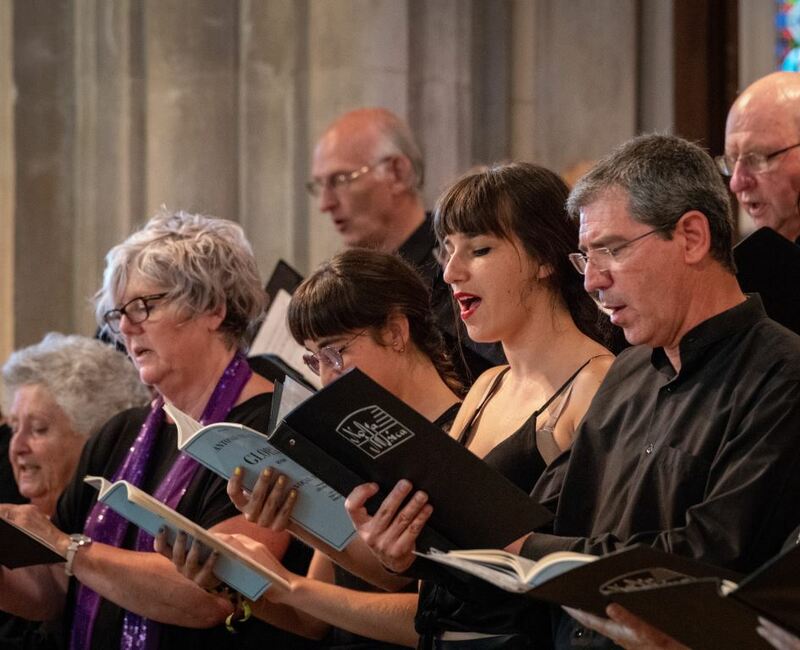 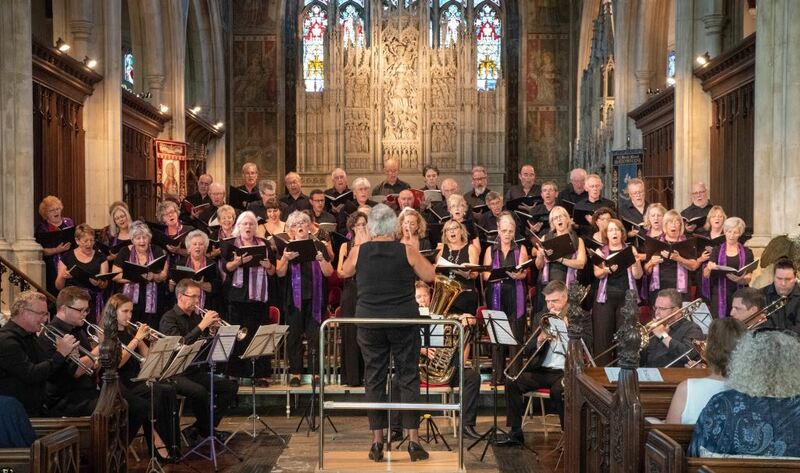 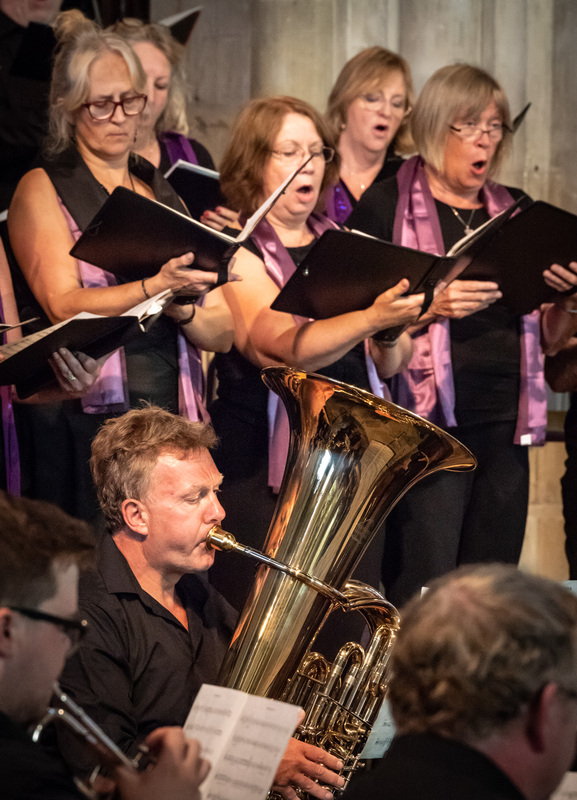 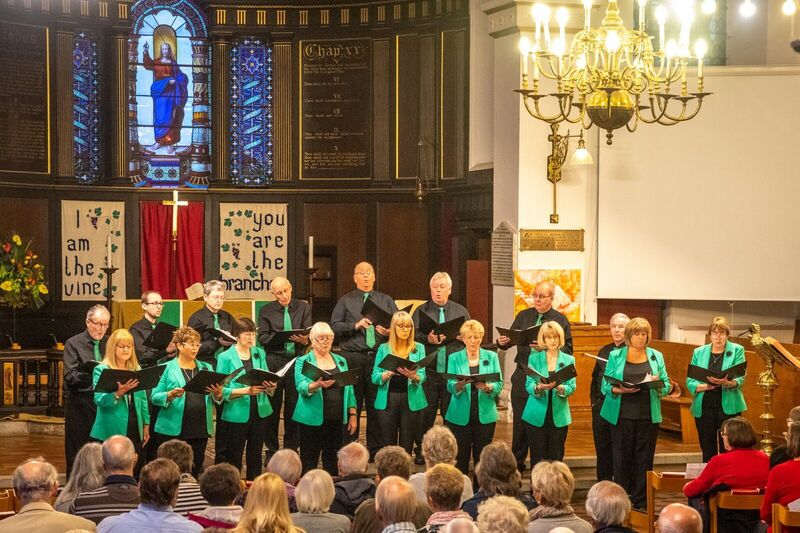 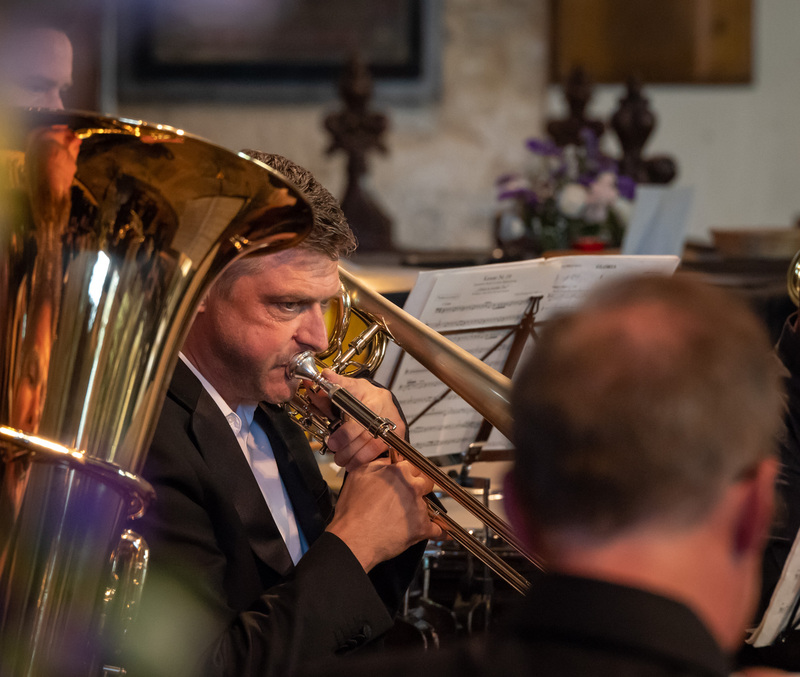 The Maidstone Singers were joined by Notability from Manchester and by Front Room on the Sunday for two concerts over this weekend in October which involved a wide variety of music sung in St Botolph’s Church in London and St George’s in Gravesend. 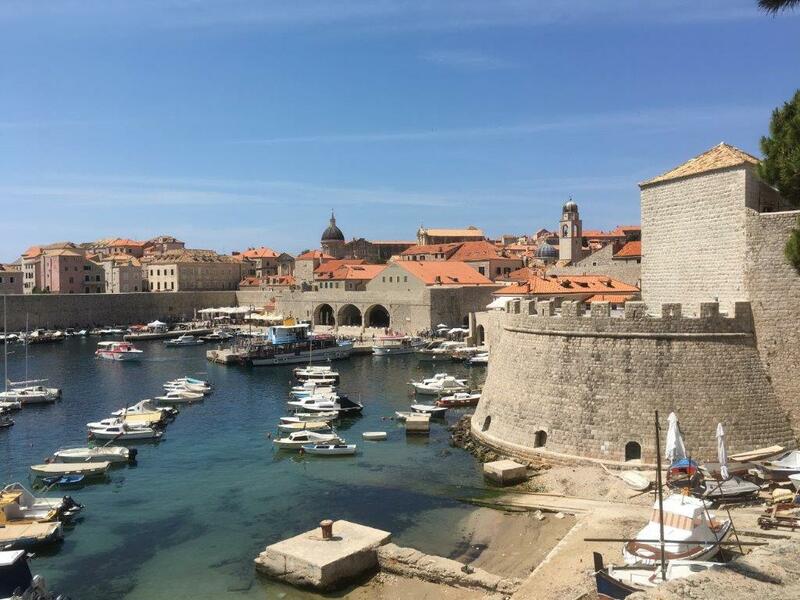 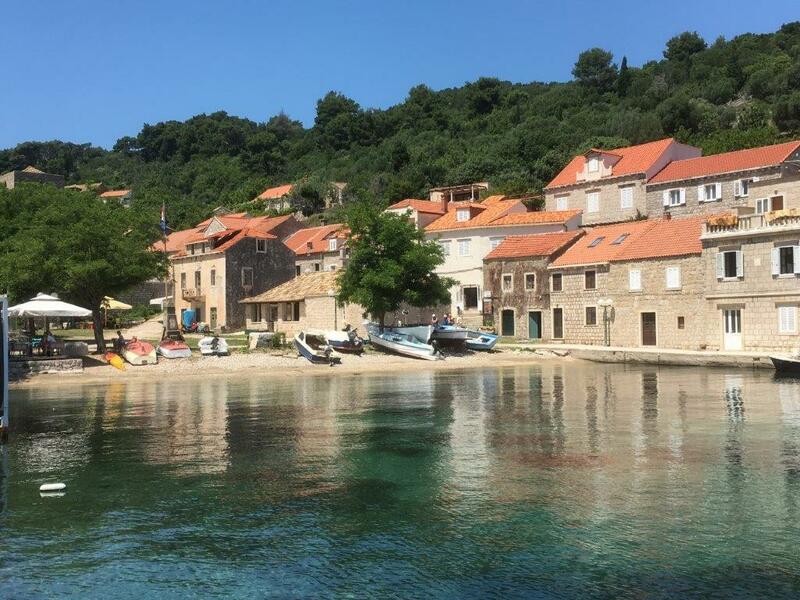 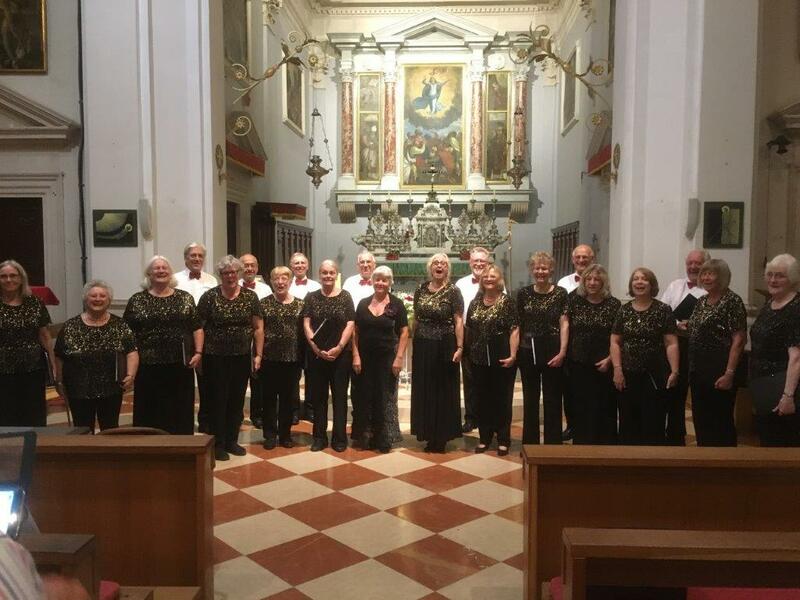 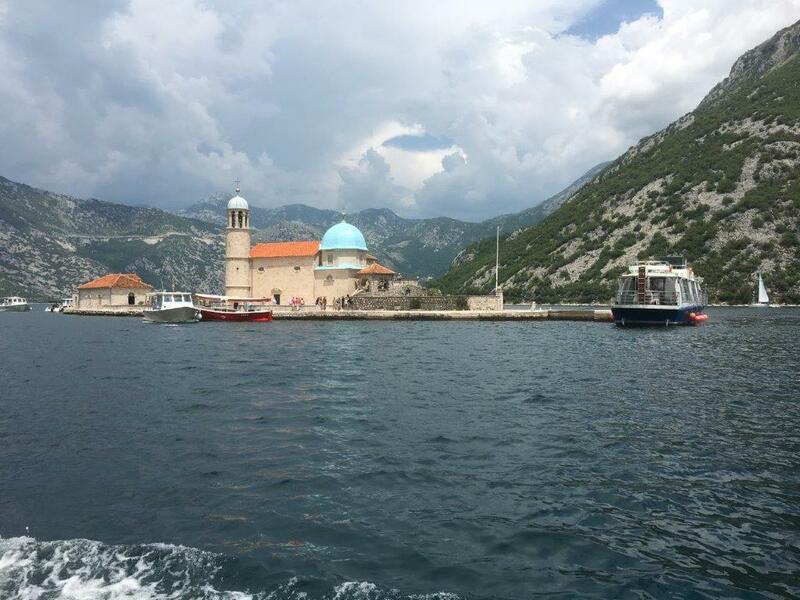 The Maidstone Singers’ overseas tour this year was to Croatia and Montenegro. 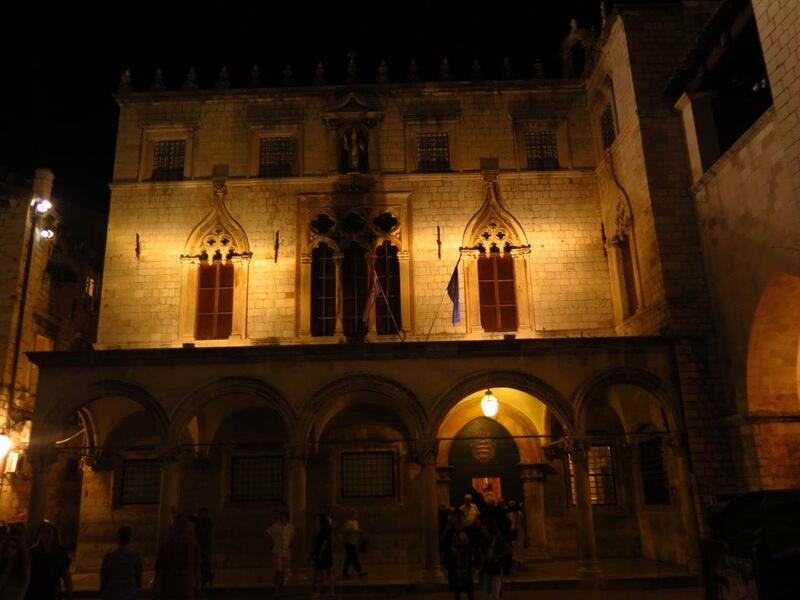 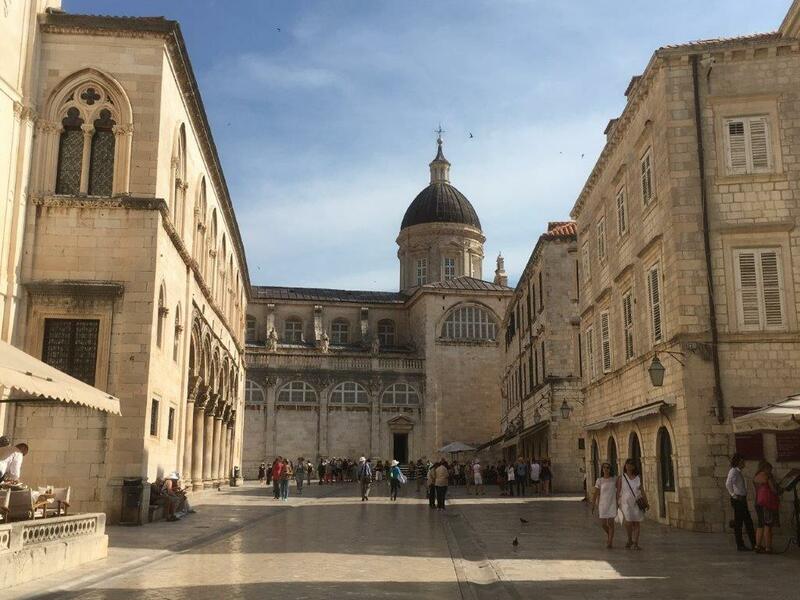 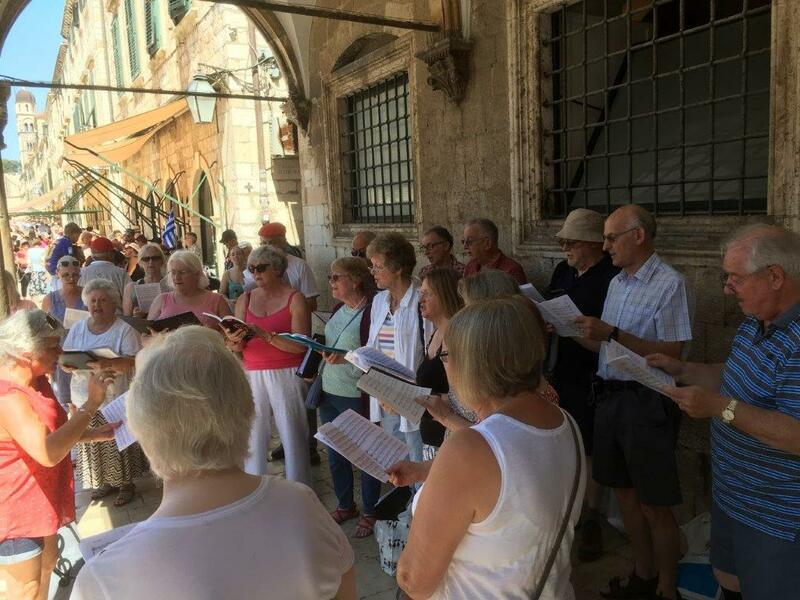 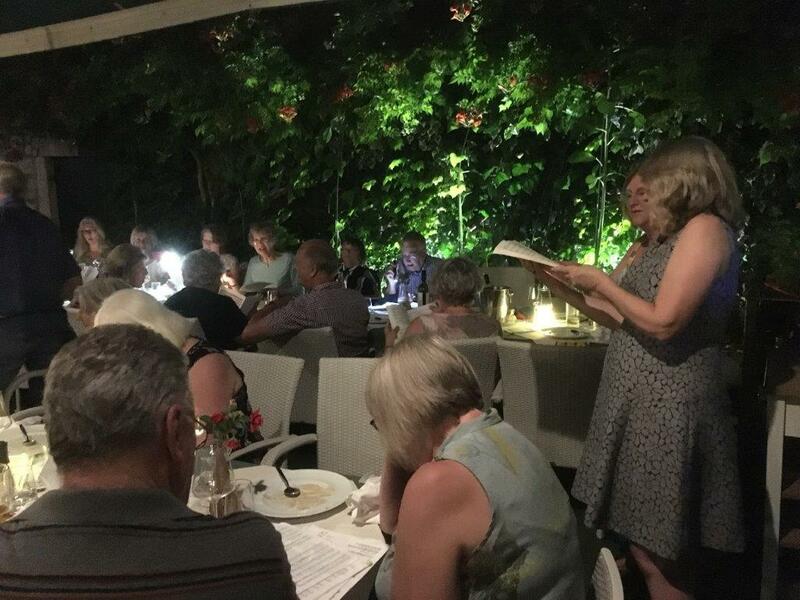 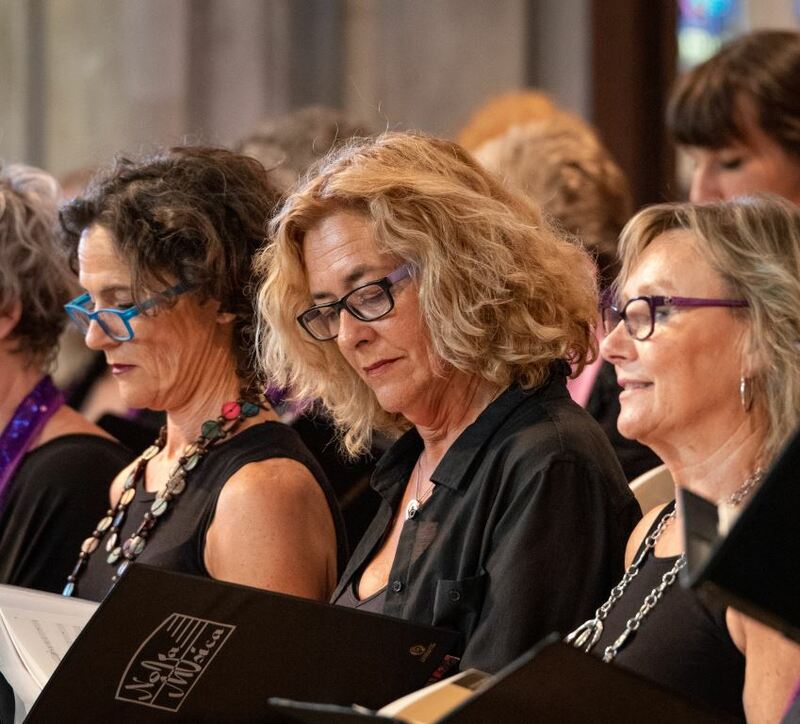 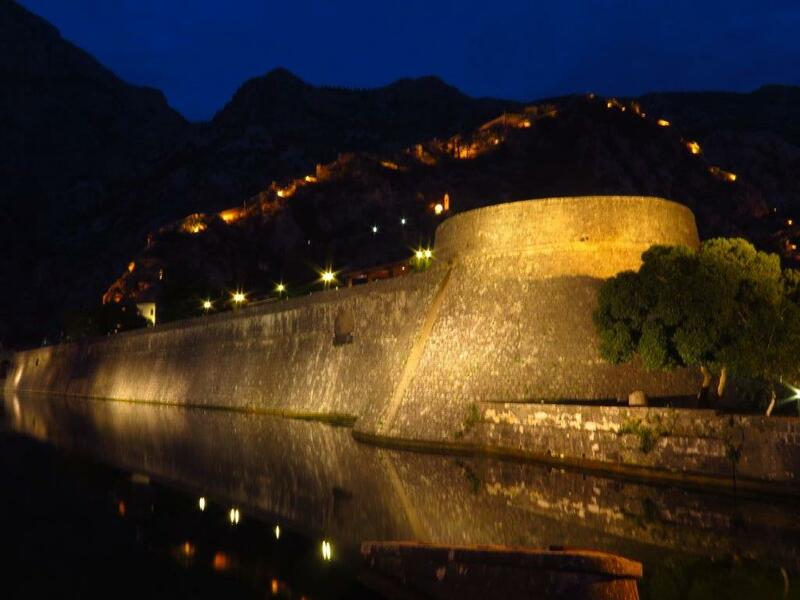 Concerts were held in the Sponza Palace and in the Cathedral of the Assumption of the Virgin Mary in Dubrovnik and also in the Cathedral of St Tryphon in Kotor but the choir sang in the streets, in restaurants, at their own private party and even on the plane on the way home! 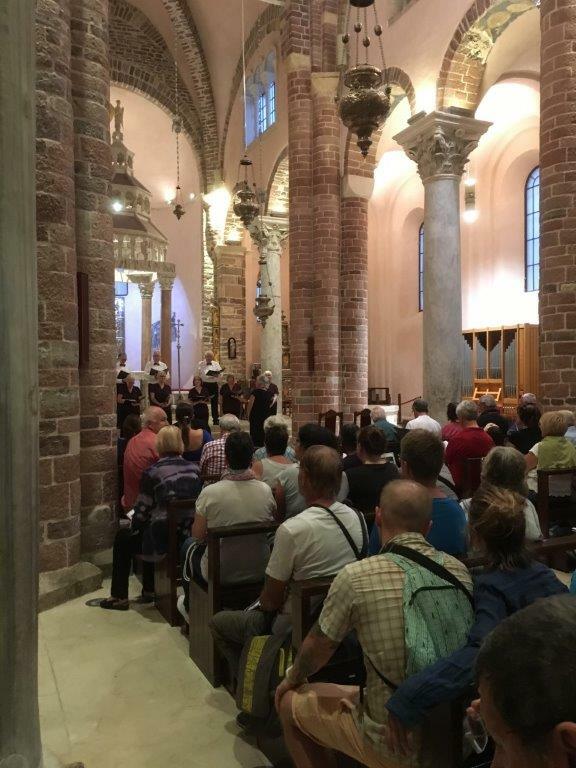 This was a most enjoyable tour in delightful surroundings and with the benefit of large and appreciative audiences in each of the concerts. 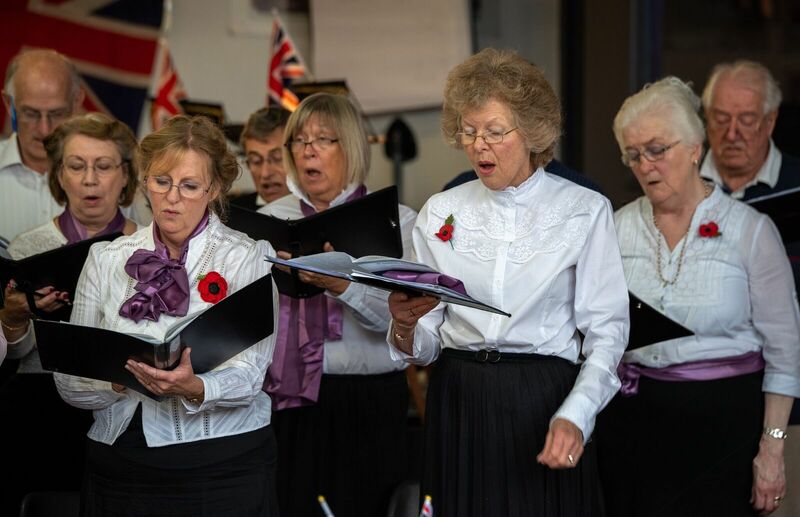 The choir continues to go from strength to strength under Kathryn’s leadership and displays great confidence, power and control wherever they sing. 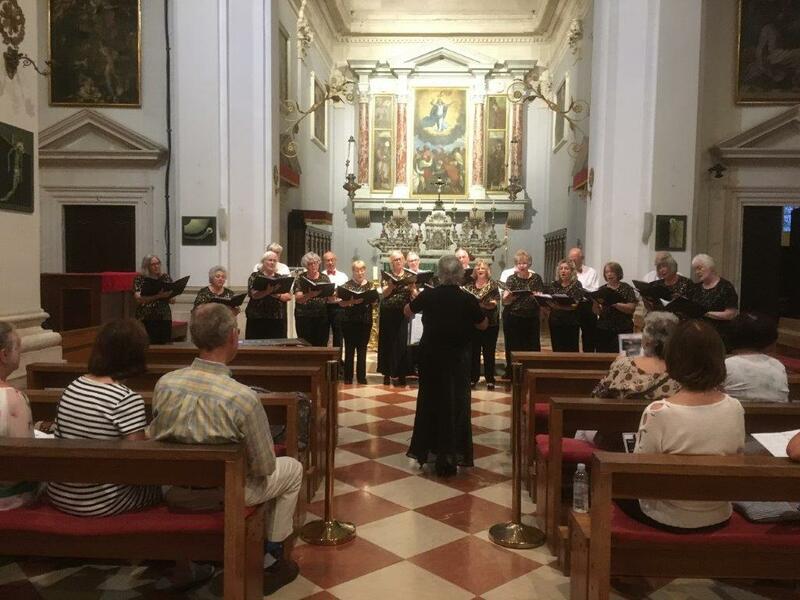 In the Sponza Palace they presented their Shakespeare Programme with Angela Clark providing the spoken word. 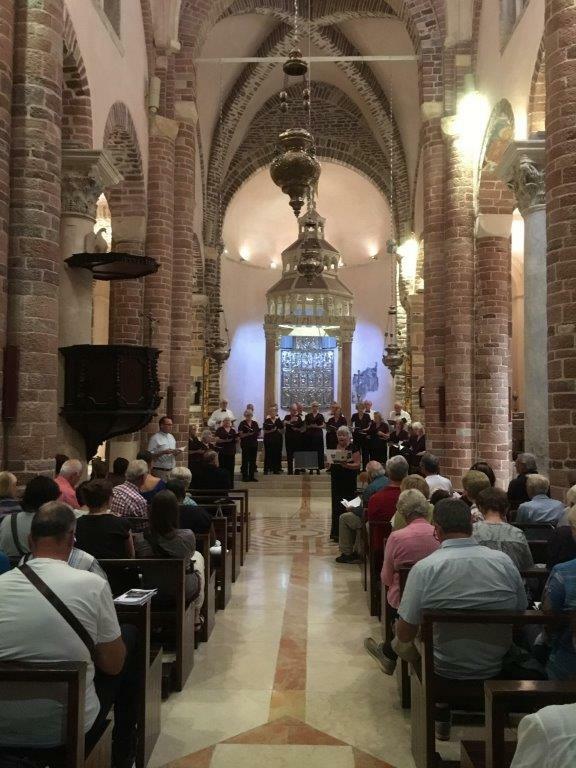 In the other two concerts there were selections from the Singers’ sacred repertoire. 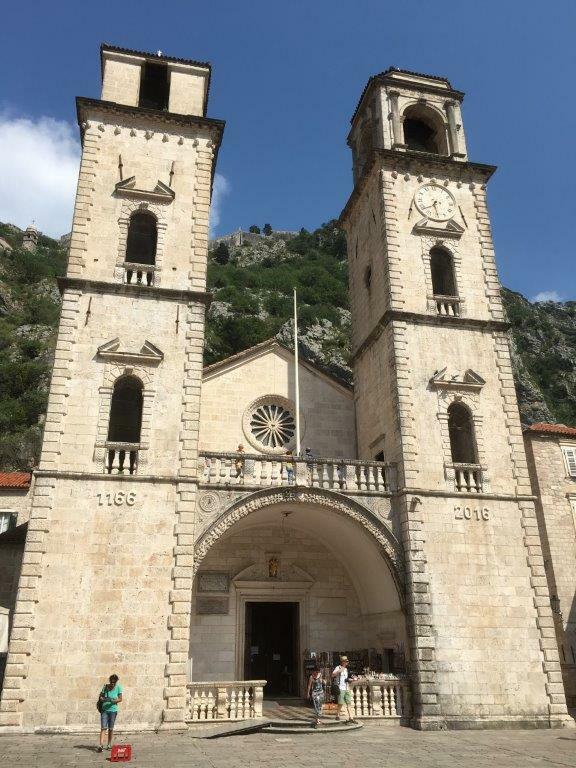 With extremely helpful contacts in both locations the pre-publicity had been excellent and we await local press reports from both countries which we hope to publish here shortly. 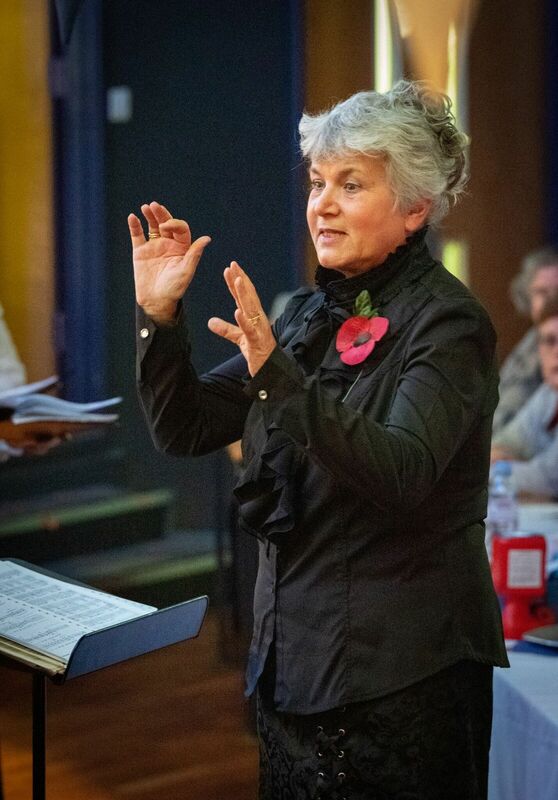 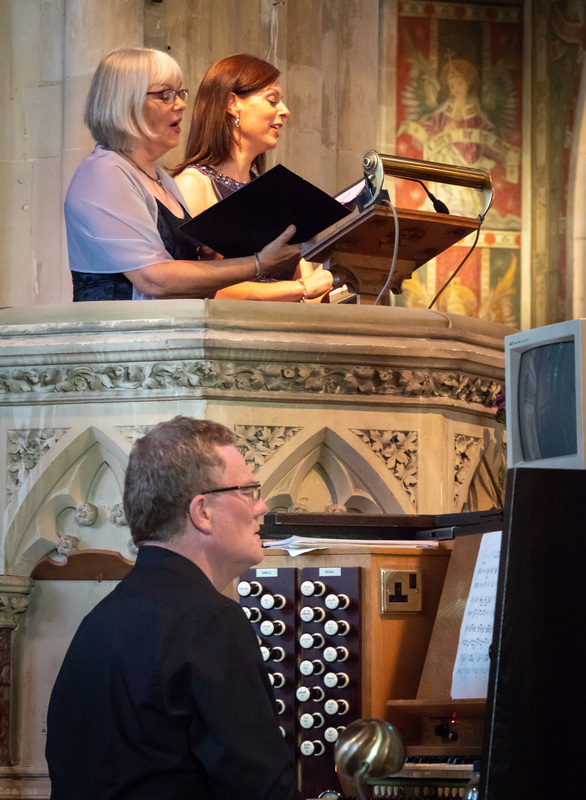 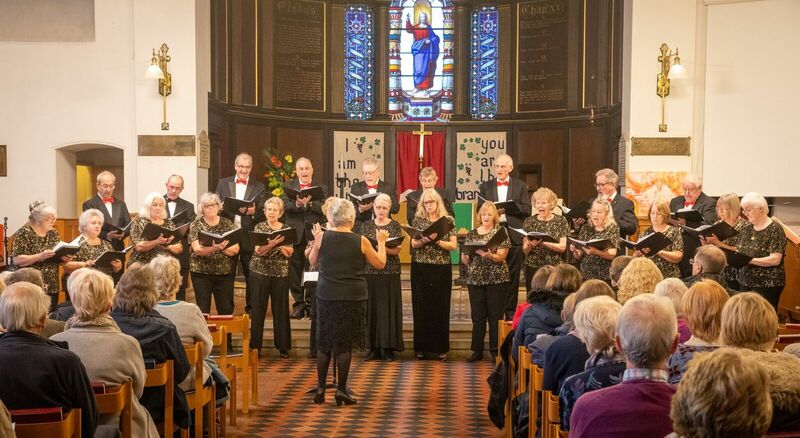 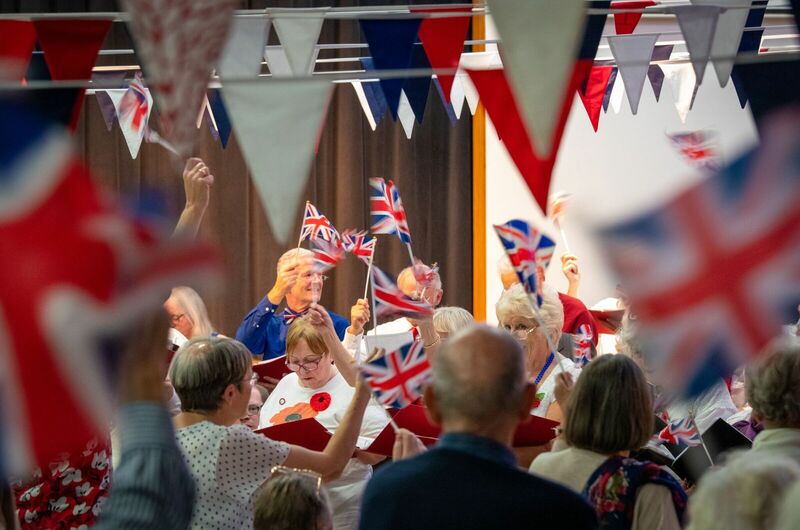 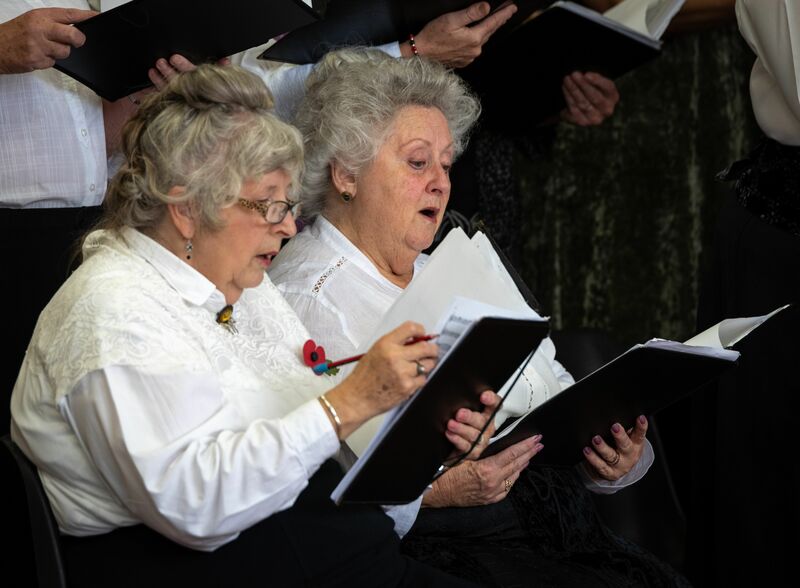 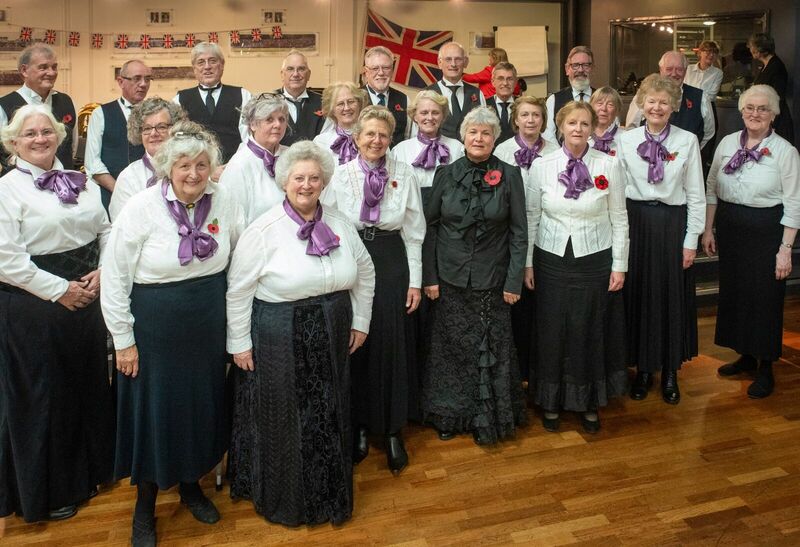 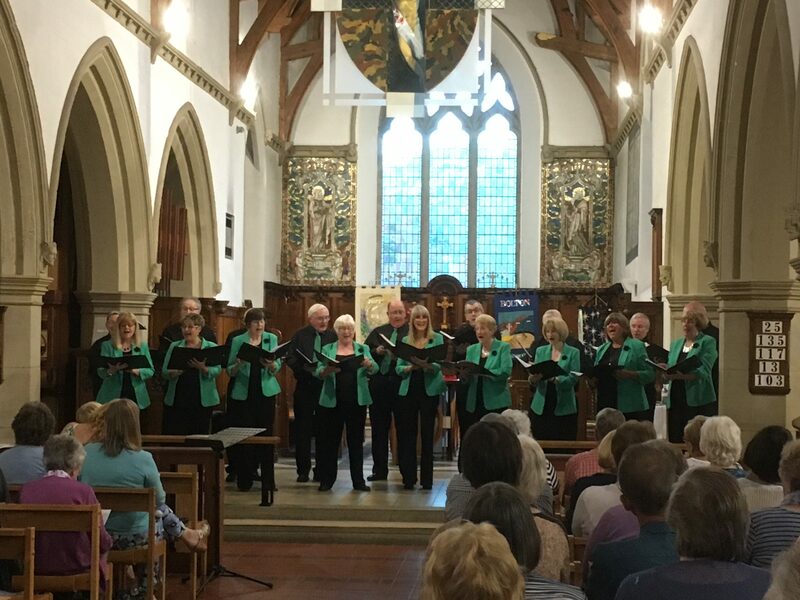 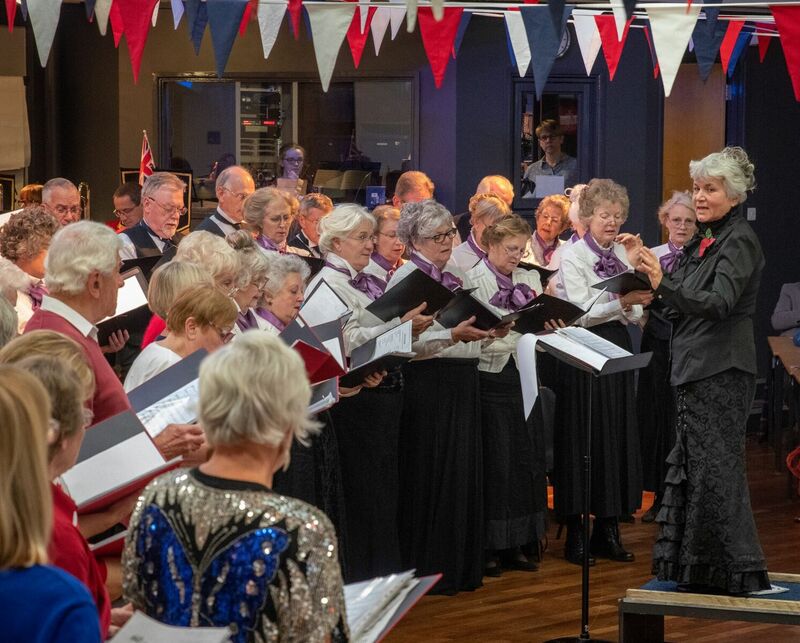 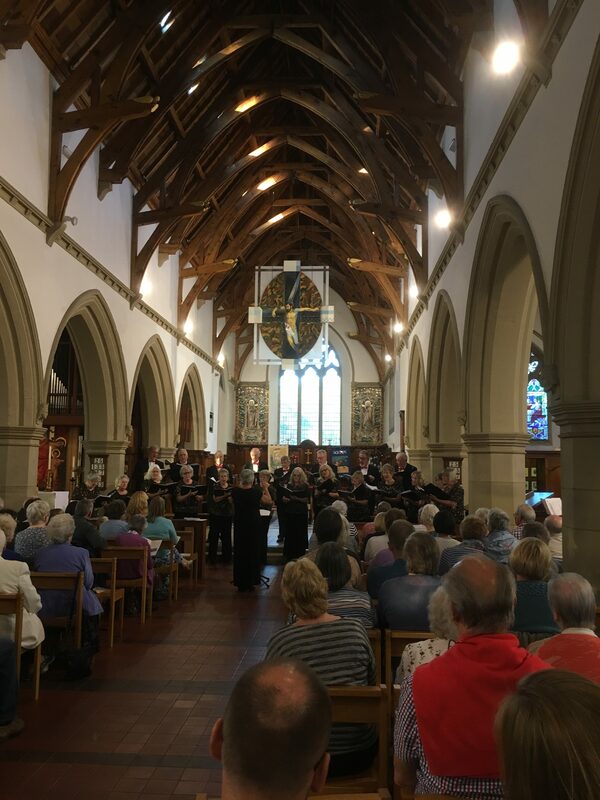 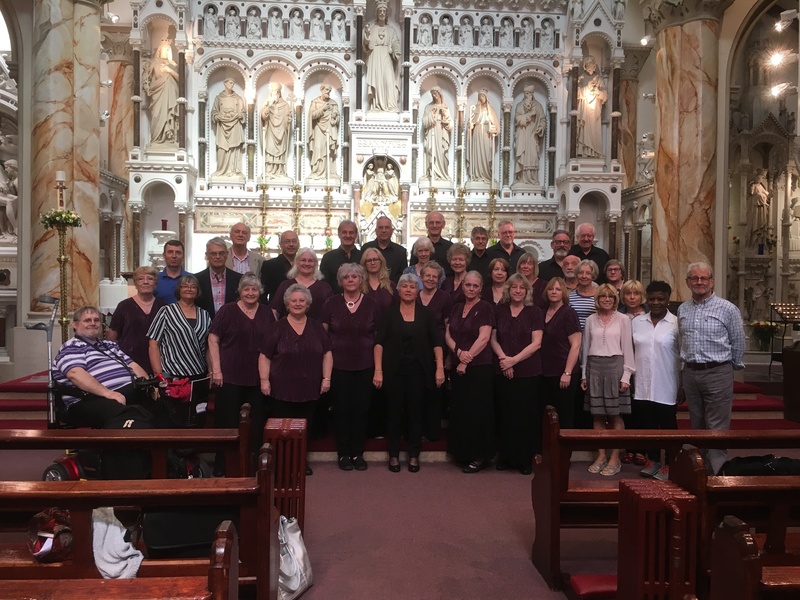 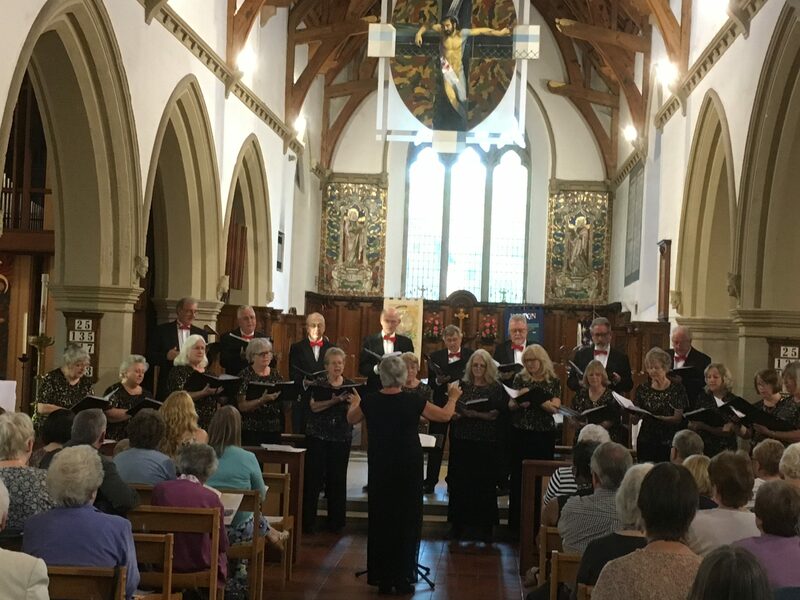 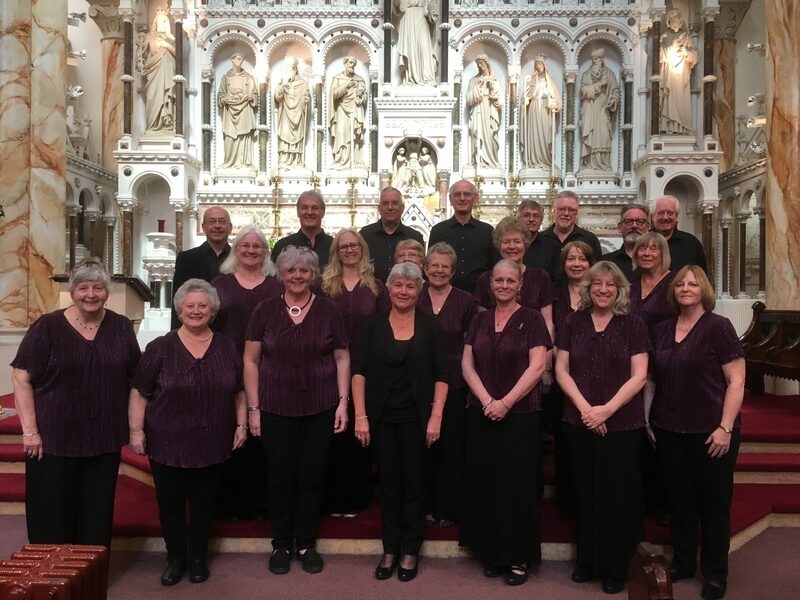 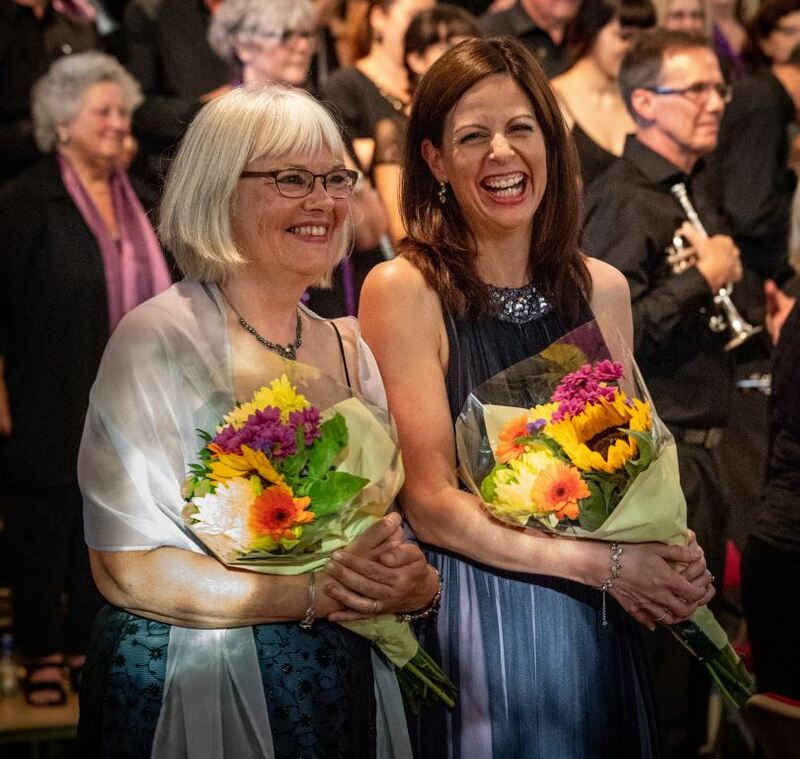 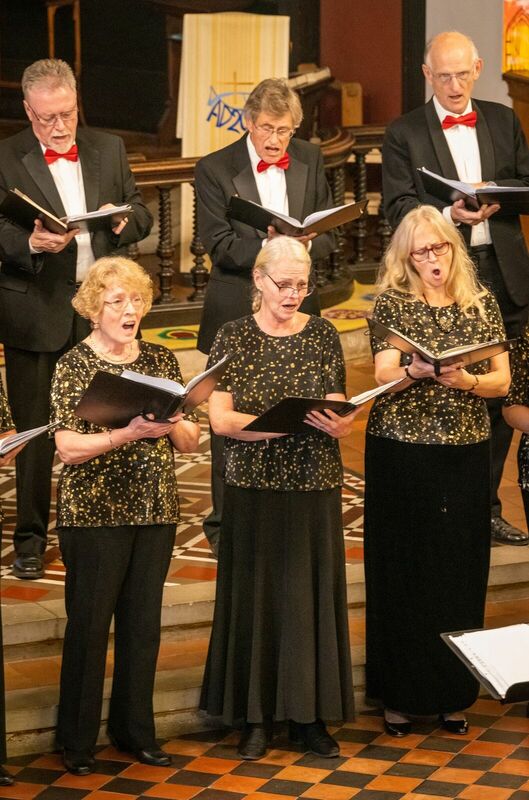 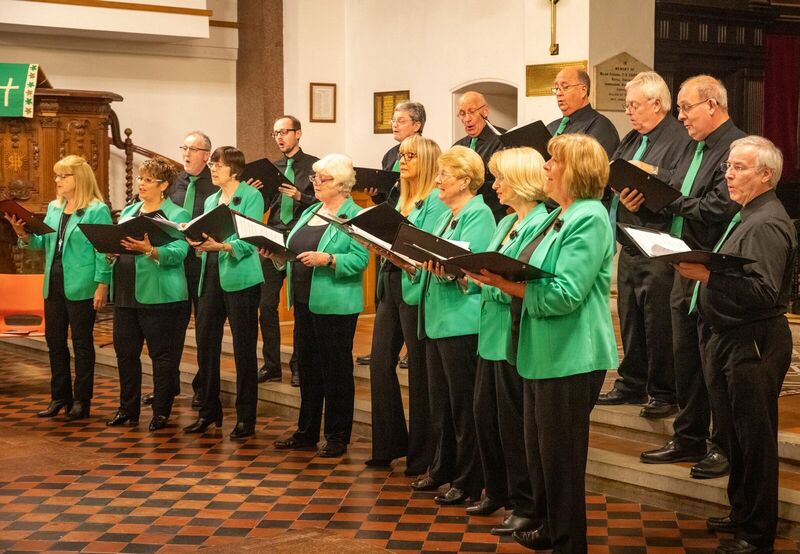 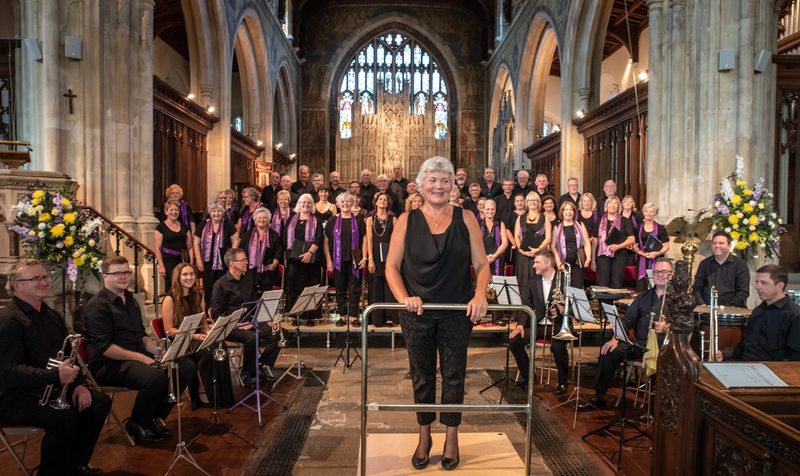 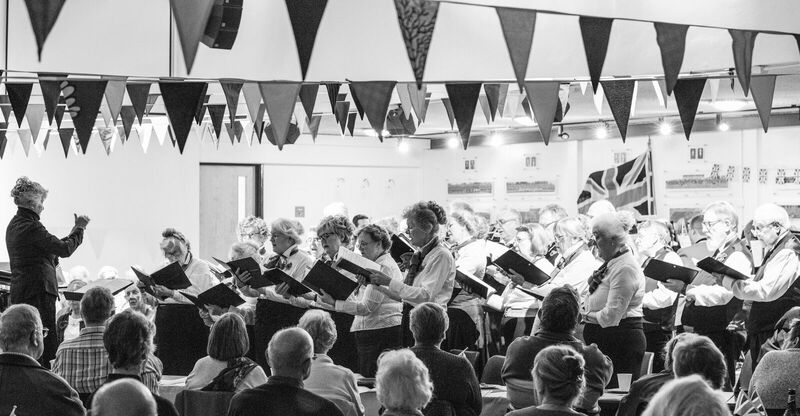 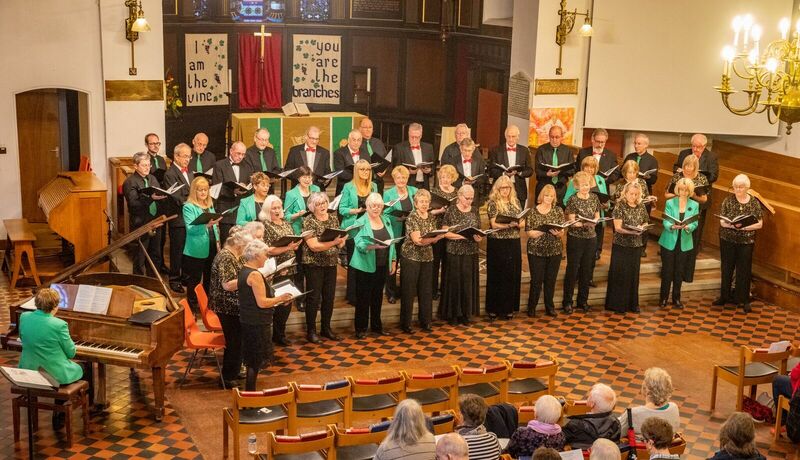 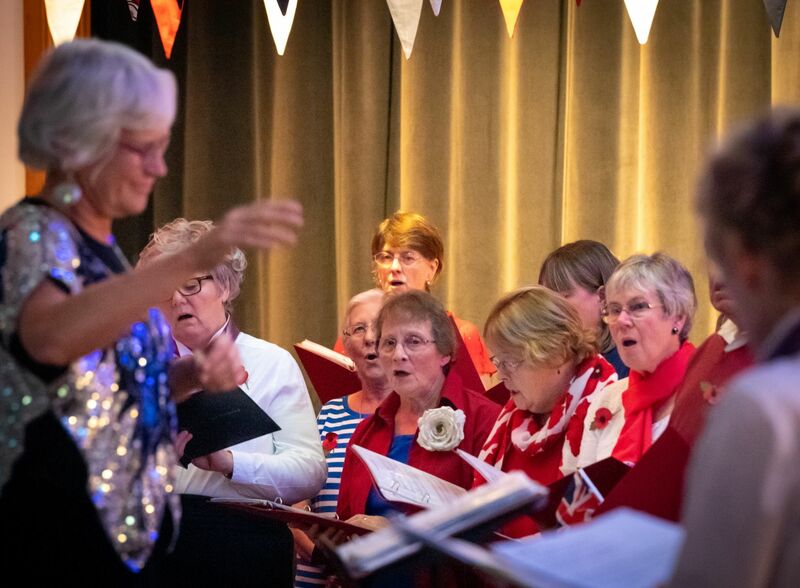 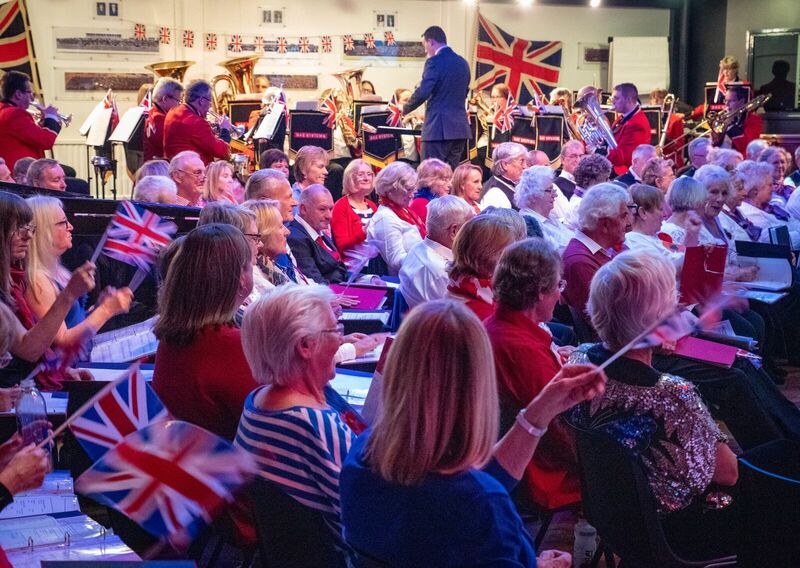 A tour to Manchester over the glorious early May Bank Holiday weekend gave The Maidstone Singers the opportunity of a joint concert with local choir ‘Notability’ at St Margaret’s Church in Prestwich on the Saturday evening. 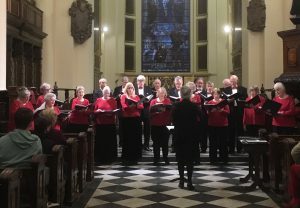 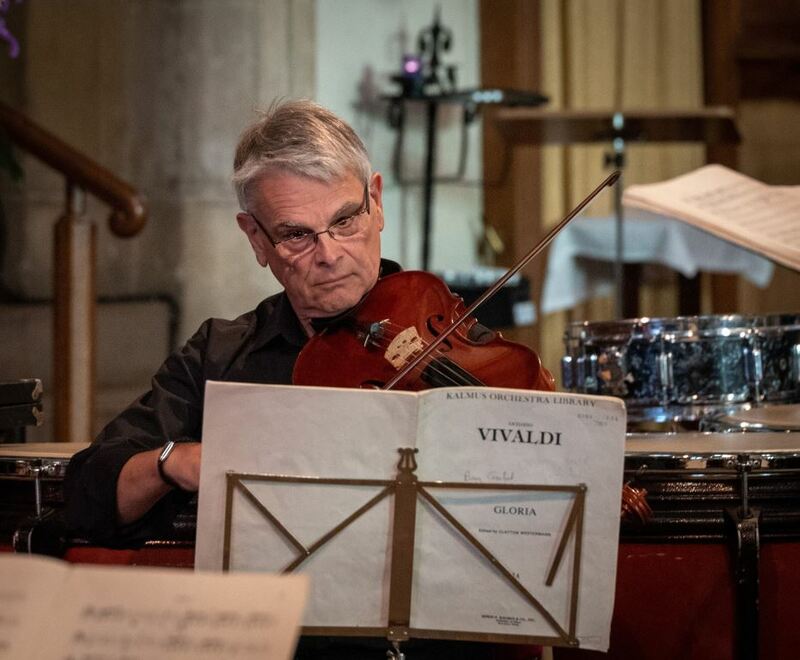 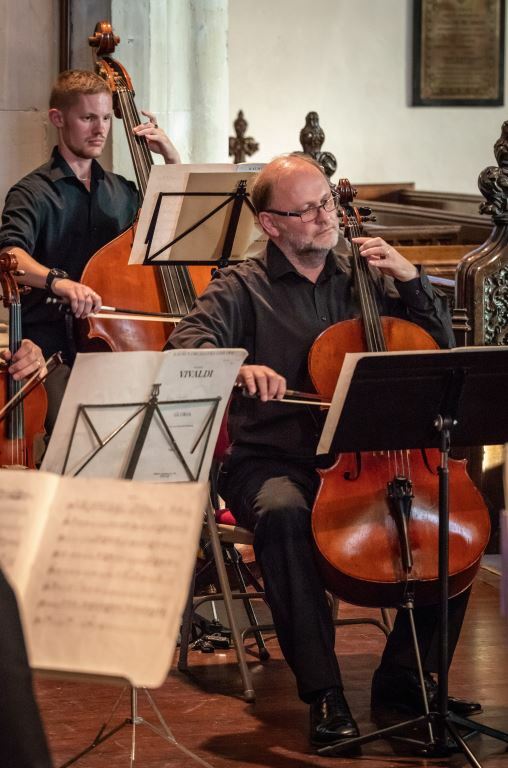 The concert encompassed both of the recent TMS themes of Northern Lights (Gjeilo, Elgar, Jenkins, Charles Wood) and Shakespeare (Chilcott, Rutter, and others). 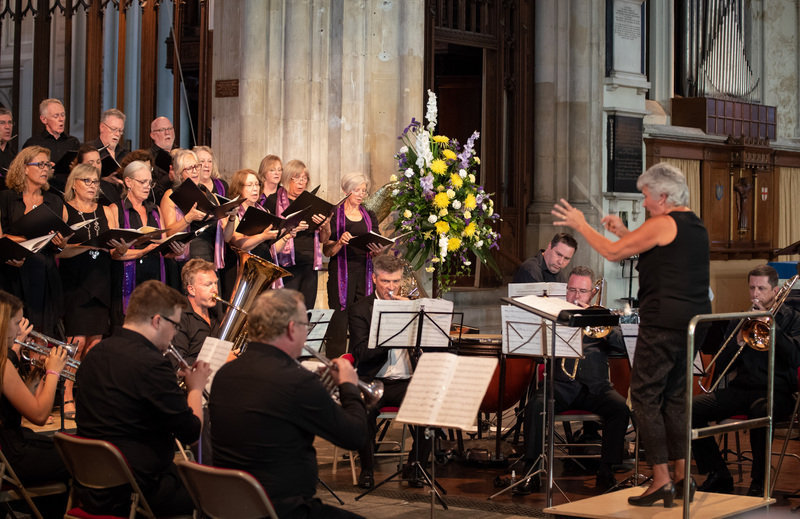 Notability responded to TMS’s ‘The Isle is full of noises’ by Chilcott (based on ‘The Tempest’) with ‘Caliban’s Song’ by David Hamilton. 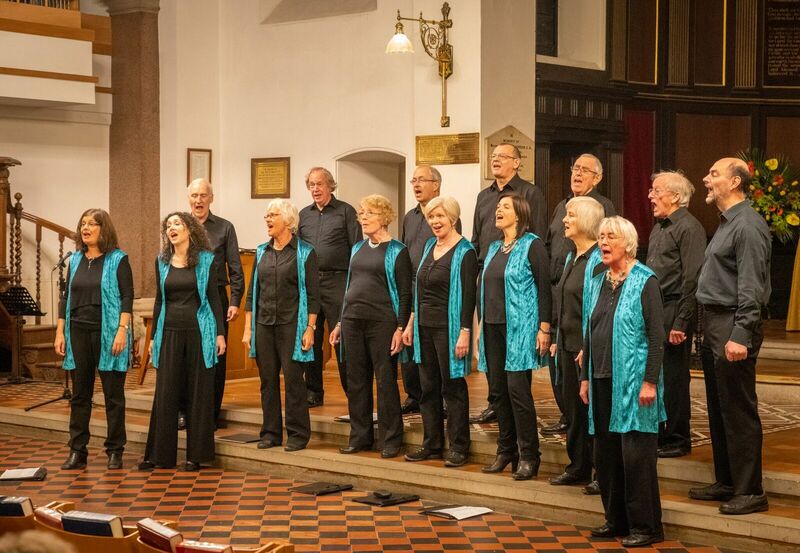 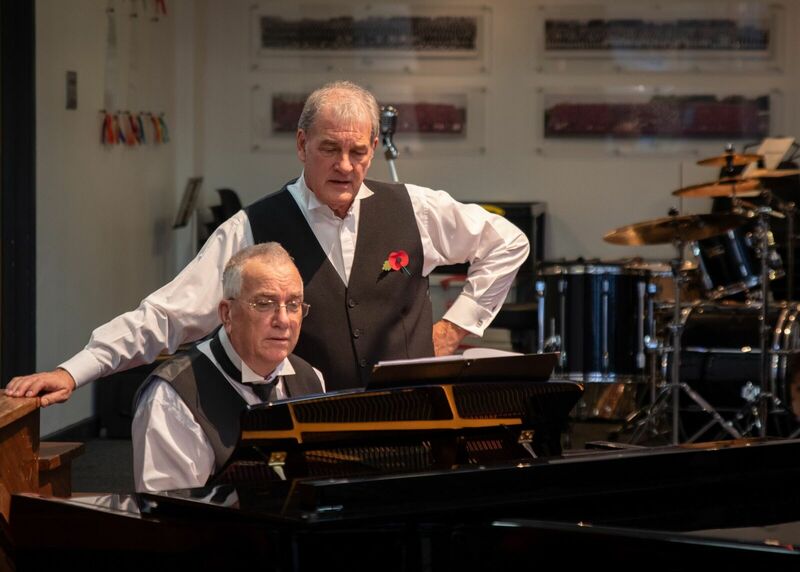 Included in their own wide-ranging repertoire was Notability’s version of Renaissance’s ‘The Northern Lights’ echoing TMS’s Gjeilo’s ‘Northern Lights’. 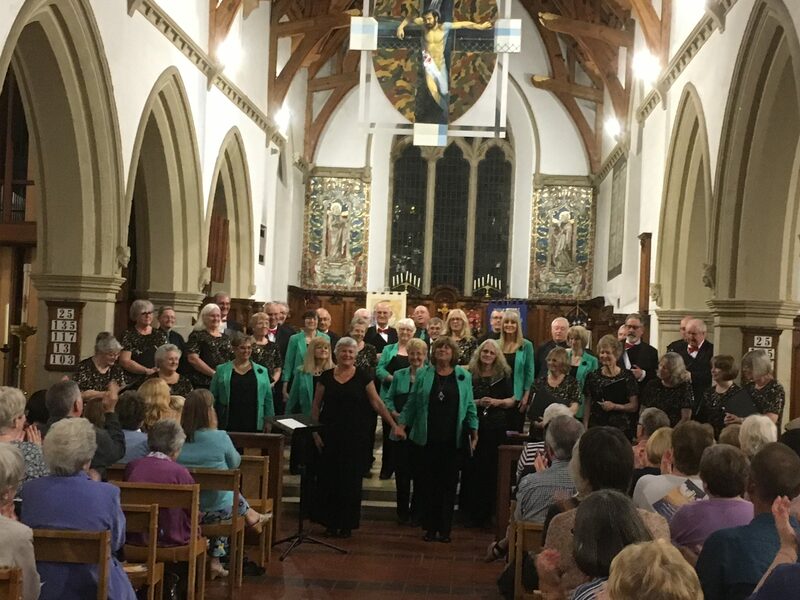 During the evening the two choirs joined together in songs by Rutter and Chilcott and finished with a medley of Beatles music. 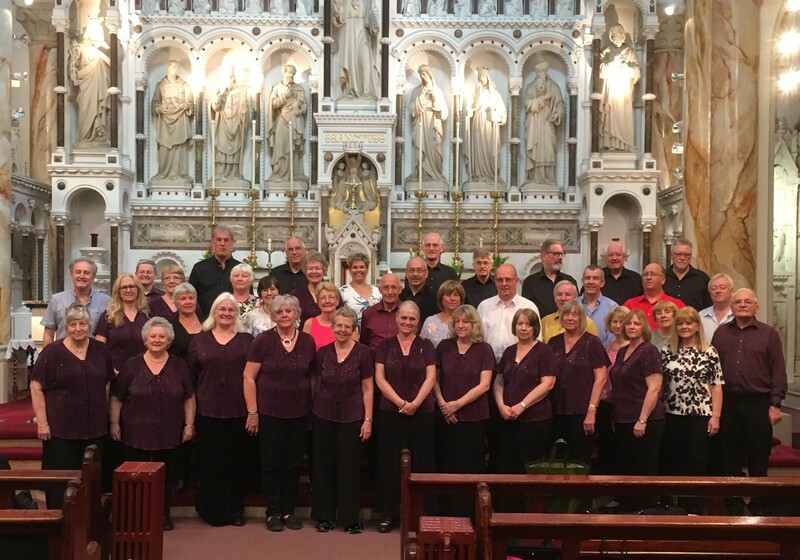 On Sunday 6th May the two choirs were privileged to sing in the mass at the Hidden Gem (St Mary’s) in Manchester. 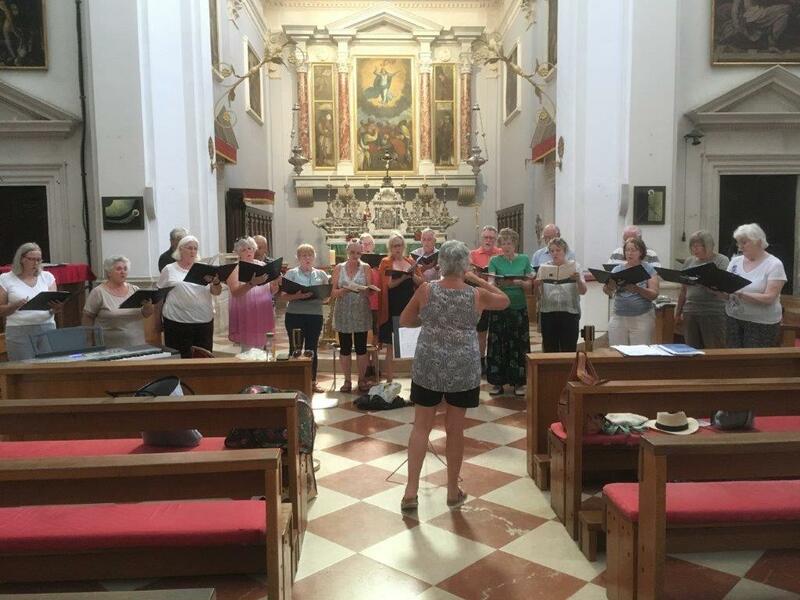 The choirs were following in the footsteps of some famous singers in this beautiful and renowned little church. 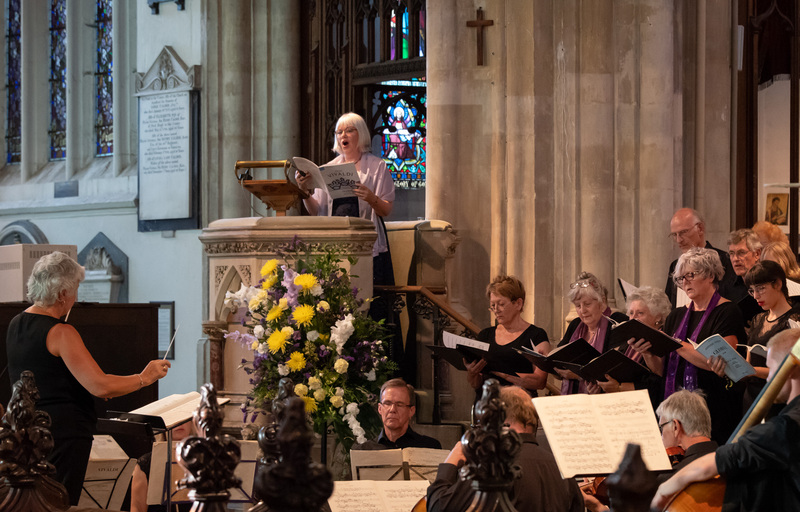 In September 1983 Giuseppe Giacomini the visiting principal tenor with the Royal Opera Company sang at the noon Mass at St Mary’s Church. 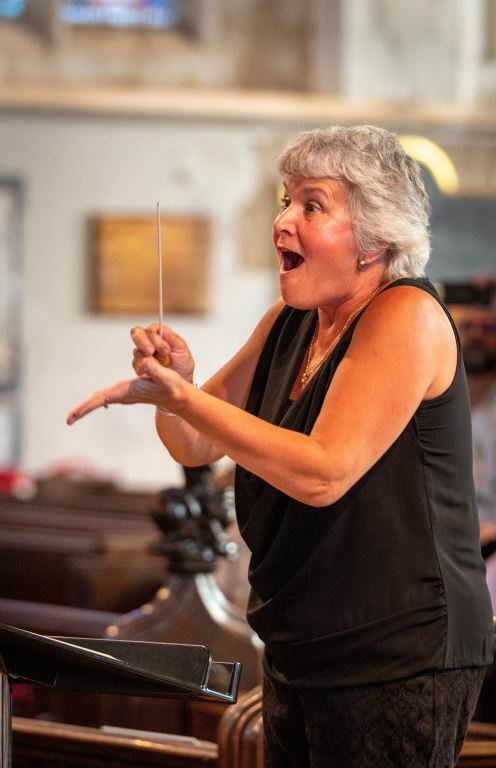 The General Administrator of the Royal Opera Company wrote afterwards to express his happiness “that through our visit to Manchester your tradition at St Mary’s was continued by Signor Giacomini”. 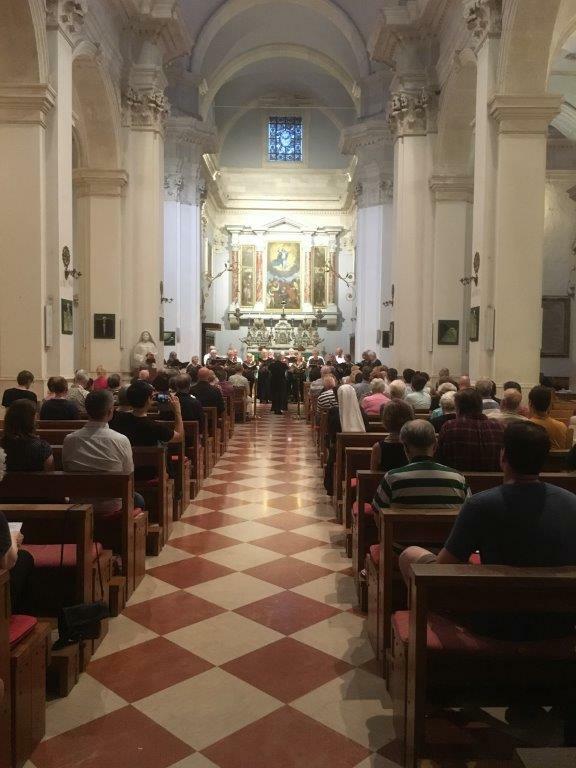 The tradition he referred to goes back to the great Caruso, and including Beniamino Gigli and John McCormack, the tradition of the world’s greatest singers, when in the city, of singing at Mass in The Hidden Gem. 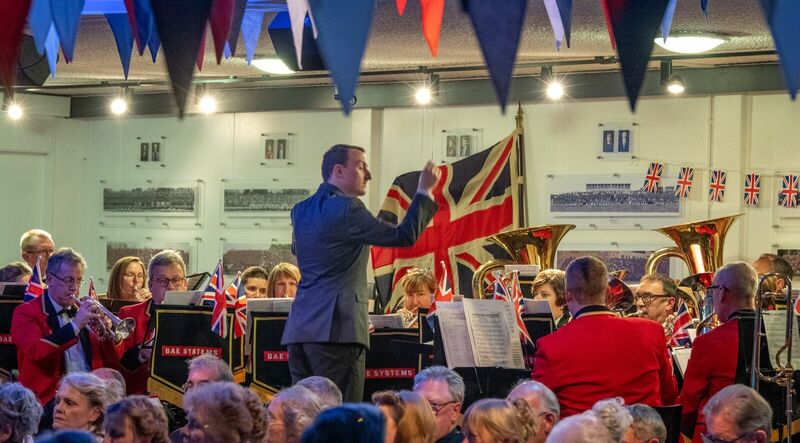 An honour indeed! 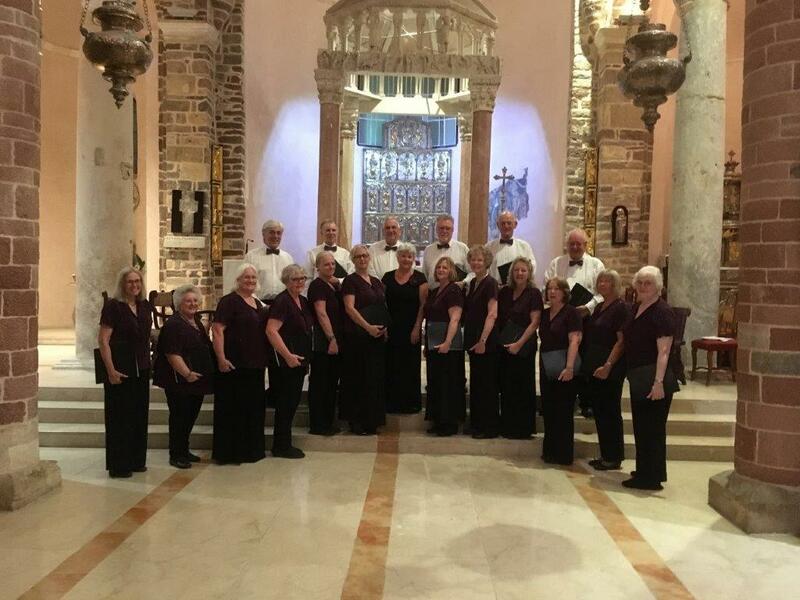 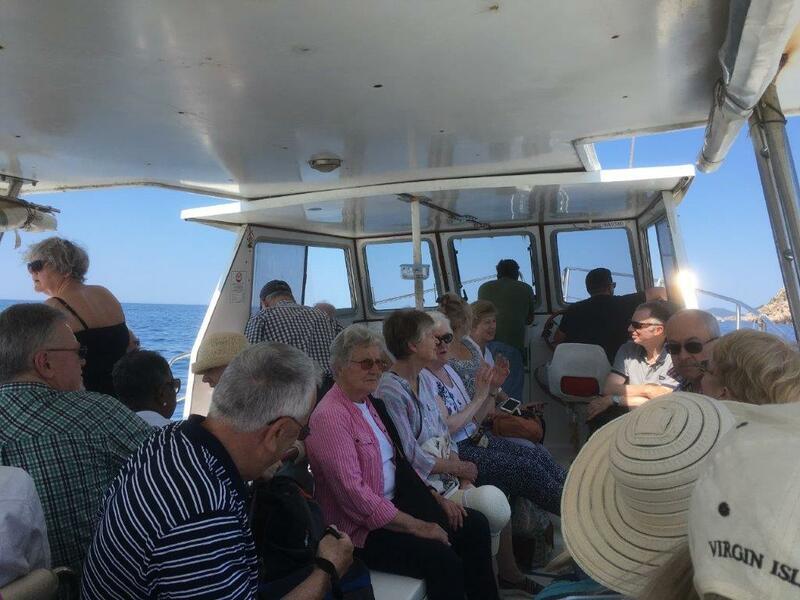 The friendly welcome and warm hospitality provided by Notability made the tour an extremely enjoyable and memorable visit for The Maidstone Singers who hope to reciprocate when Notability come down to the south of England in October. 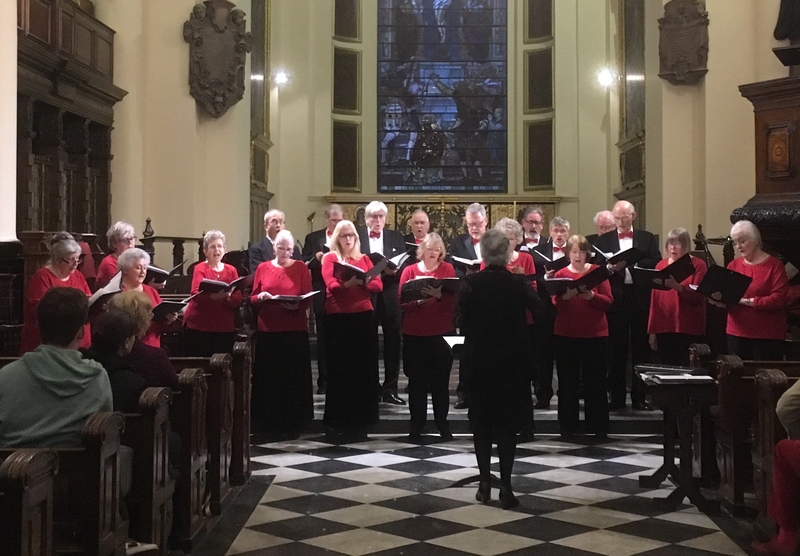 The Maidstone Singers unveiled their new ‘Northern Lights’ repertoire at a concert in St Botolph’s church in Bishopsgate as part of the Brandenburg Choral Festival of London Spring Season on Sunday 18th March 2018. 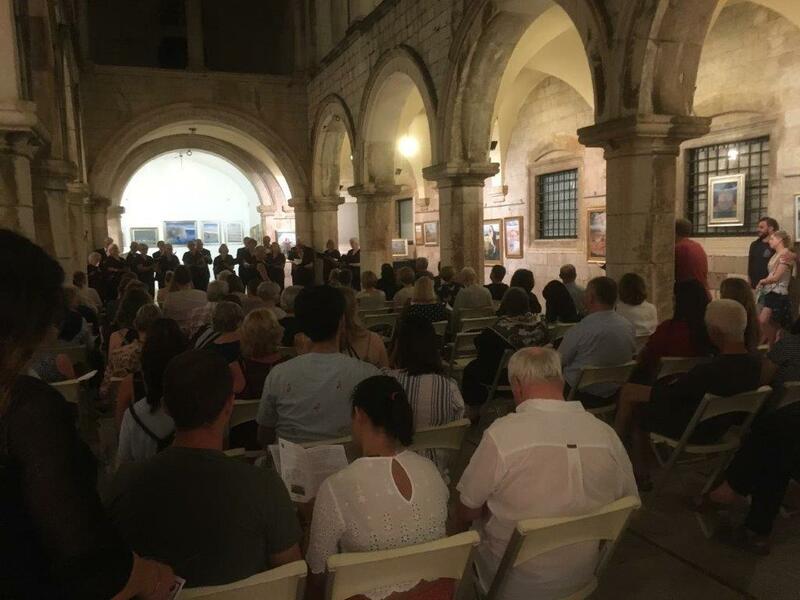 In three parts, Light, Night and The Heavens, the concert was inspired by the music of Ola Gjielo but gathered together an eclectic and charming mixture of music around the theme. 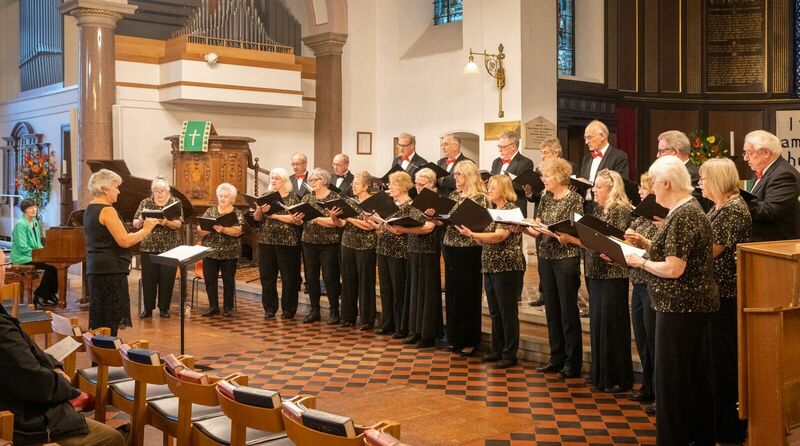 It included pieces sung in Finnish and Icelandic and sat well with the snowy surroundings of a cold March day. 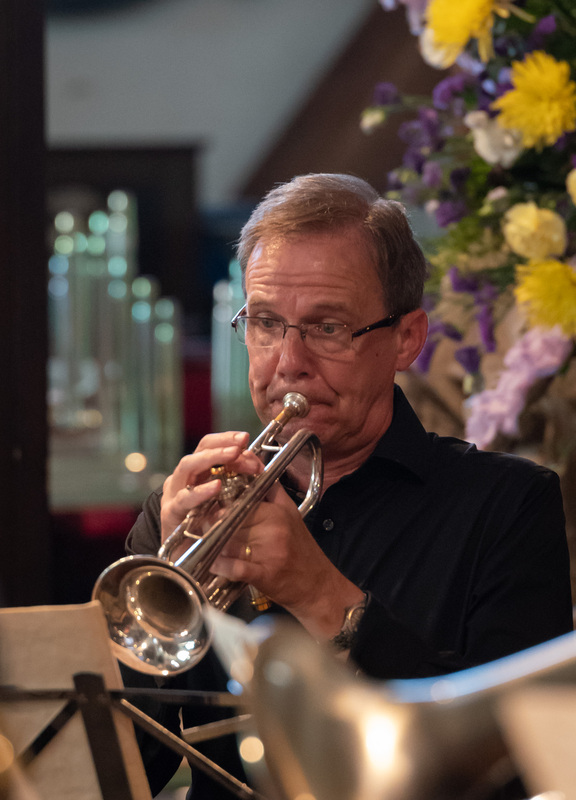 There will be other opportunities to hear this music later in the season.